In just a couple days, the “American Express Plum Card” will be released, promising to revolutionize the way business owners use credit cards. Put simply, the Plum Card allows businesses to manage cash flow with the use of an credit card, instead of worrying about having cash on hand for purchases large and small. Say you charge $5,000 on your Plum Card for business expenses in a given month, and you have the available funds to pay it all off immediately. If you pay off that balance in full within 10 days of your statement closing date, you’ll receive a 1.5% “early pay discount”, or roughly $75 back in the example above. That $75 will work as a statement credit, and will be applied to the following month’s balance. You don’t even need to pay in full to receive the early pay discount – as long as you make at least the minimum payment within that 10-day window, you’ll get 1.5% back on the amount you pay early. Note that eligible purchases do not include returned items, American Express Gift Cheques or American Express Travelers Cheques, or deferred payments. With the American Express Plum card, you can also defer credit card payments by as much as two months from the statement closing date, without paying interest or finance charges. Say you charge $5,000 on your American Express Plum Card. Once your billing statement arrives, you must pay at least 10% of your outstanding balance by the “Please Pay By” date on your billing statement. As long as 10% is paid by that due date, you can carry the remaining portion of your balance and pay it off at the next month’s “Please Pay By” date without incurring any finance charges or interest. *This is assuming you aren’t carrying any previous balances from prior months. Technically you could keep doing this each month, but you’d need to pay the previously deferred payment plus 10% of new activity. 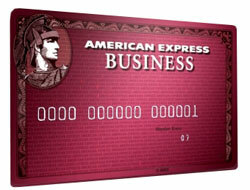 To sum it up, the American Express Plum Card is about flexibility and managing cash flow. It appears the move is a bid for American Express to capture more of the business to business market where cash is sometimes king. But before you get too excited, take note that the charge card is intended for businesses with revenues in the 6-7 figure range. There’s even an application waiting list, though that’s likely just part of the buzz machine. The annual fee for the American Express Plum Card is $250, though it’s waived for the first year. 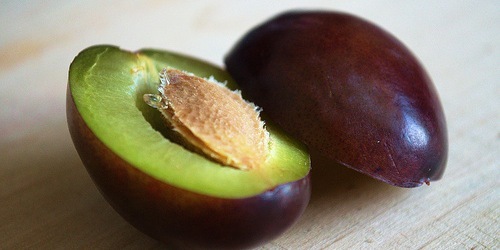 Additional Plum Cards come free of charge. The late payment fee is 1.5%, then 2.99% of the past due amount, with a minimum charge of $35. In other words, don’t pay late. And there is a 2.7% foreign transaction fee, another bummer considering it’s a business credit card that could well be used worldwide. Finally, the Plum Card does not have a pre-set spending limit, meaning purchasing power adjusts with card use, your payment history, and financial profile, and is likely reserved for businesses with great credit only. Next Next post: How Can I Lower My Credit Card Interest Rate?